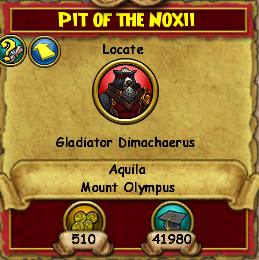 Mount Olympus is the beginning of Aquila. The first of three dungeon instances. You must be Level 30 to access this dungeon. Each instance also has a side quest leading to a special boss battle. The good news? These bosses have specialty items! 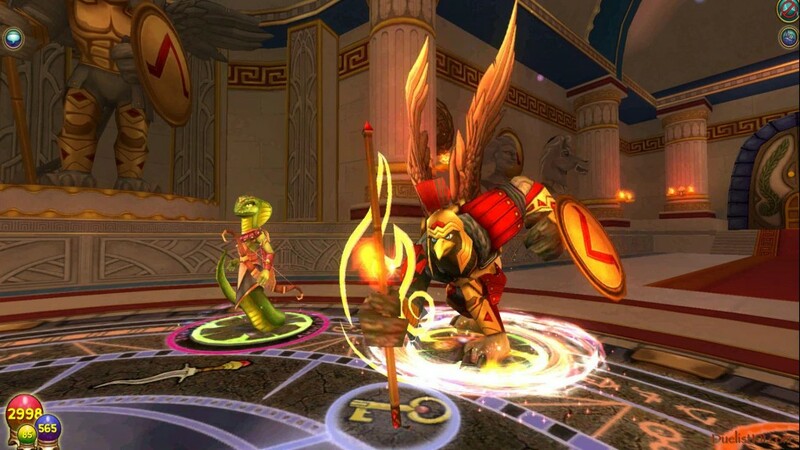 The video below is a comprehensive guide to the entire Mount Olympus experience. It includes the Guide to the Bronze Eagle Statues and the Pit of the Noxii where you defeat Gladiator Dimachaerus for specialty items. School specific wands drop that are no trade and no auction. You may read about them below. 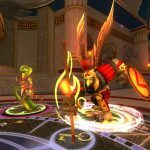 After completing Mount Olympus, you may access level 30 crafted gear as well as moving on to Atlantea, the second dungeon. Athena Battle Sight greets you immediately upon entering. She informs your first task is to collect three Legion Tokens. Don’t worry about their size. They magically shrink to fit in your backpack. This chamber is defended by the radiant Apollo Bright One, Rank 7 Life Boss 4,200 health. He is accompanied by a Myth Elite Cyclops Guard at 1,120 heath. Retrieve the Ophidian Archer Legion Token. Athena explains her sister Artemis New Moon is away. The Token is guarded by a Ophidian Archer, Rank 7 Death Elite with 1,500 health and a Crescent Moon Centaur, Rank 7 Moon Elite with 1,600 health. Retrieve the Minotaur Warrior Legion Token. Praetorian Guard exclaims for you to tremble in your robes! No need to tremble. He is a Rank 7 Storm Elite at 1,240 health. His minions are Elite Cyclops Guards too. Like in the Sun Chamber. Easy. They surrender the Carthaginian Elephant Legion Token to you. Take the Legion Tokens to Eris Golden Apple for a Puzzle. She wishes to place you in a golden cage! Watch out! Use your newly acquired Legion Tokens to beat her at her game. Eris will give you the key that is needed to unlock the hall. Defeat the Elite Cyclops Guardsmen to reach the forge of Hephaestus. Again, Rank 7 Myth Elite at 1,120 health. Haphestus cannot continue without his Bronze Eagles that have wandered off. (How statues wander off is beyond me.) Four statues hide around Mount Olympus. Here is a Quick Guide to the Bronze Statues with a Video Quick Guide if you prefer. Now you need a wicked Weapon to even the odds. Ares Savage Spear has just the weapon! He thinks our spells are puny?! HA! Hit him with your best shot! Ares is a Rank 7 Fire Boss with 4,500 health. His minion is an Ophidian Archer, Rank 7 Death Elite at 1,500 health. Take the reward and go forth to the father. Zeus welcomes you to battle with his very deep and authoritative voice. 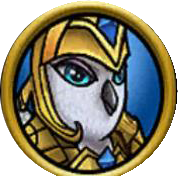 Wise Silenus is kind enough to record your name and provide your Honorable Bronze Archon badge. Cyrus Drake calls you to the next Quest. It is time to move on to Atlantea. 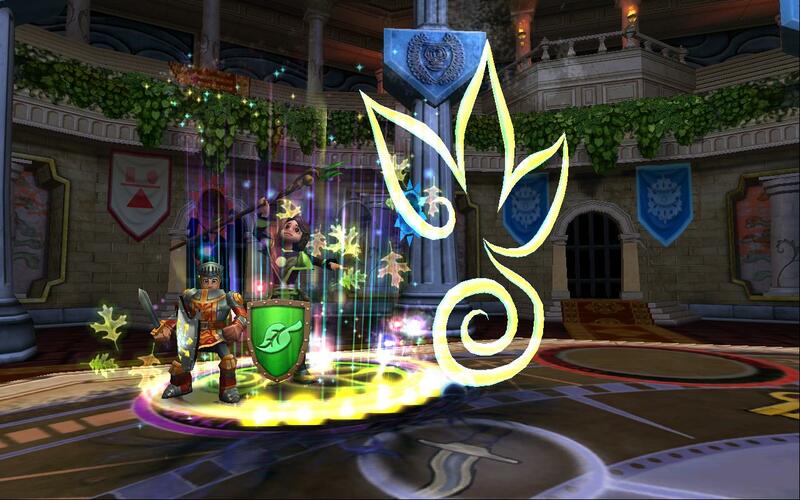 After completing Mount Olympus, Khalkos Coppersmith appears outside the Mount Olympus dungeon. He has level 30 crafted gear. Read more about it in this guide. 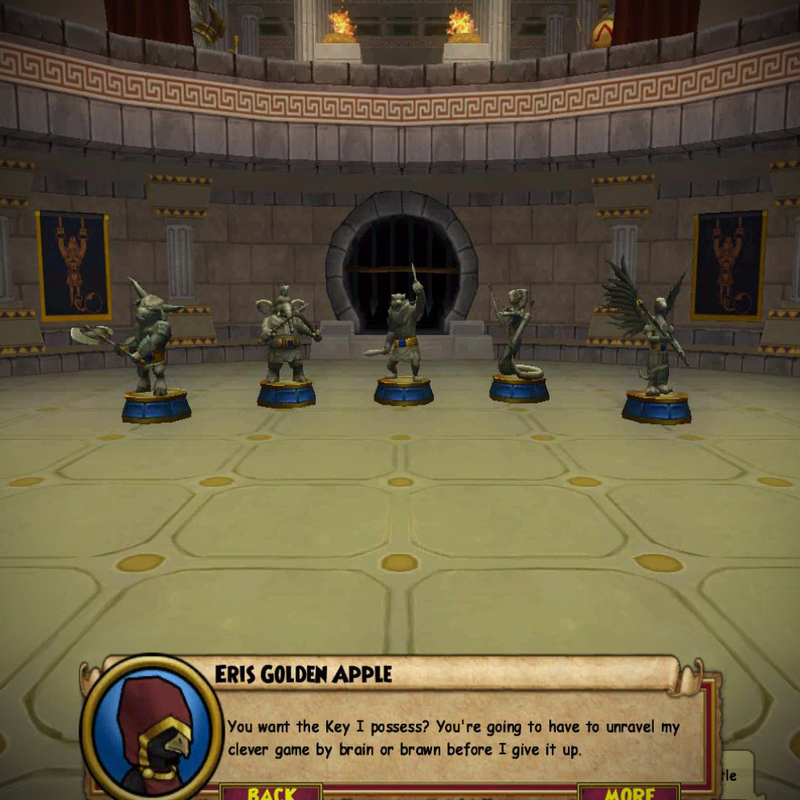 Pit of the Noxii is near Eris Golden Apple and her game. You too can be a Superior Gladiator once you complete this quest. 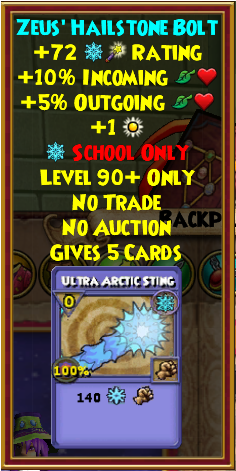 Dimacharus drops the following school specific wands. Do note they are no trade and no auction too. (We are still looking for a picture of the Life wand.) They all have critical increases as well as incoming and outgoing health increases. Thank you for joining us. Now you you ready for Mount Olympus. Excited? Will you use the new gear, wand or pet? Let us know in the comments. Dead Sparrow was an active part of the early Duelist101 team. He retired years ago, but some of his content is still so current and informative that we are honored to see them shine on Final Bastion.